SMART DRAIN� provides drainage that will last the life of the field. 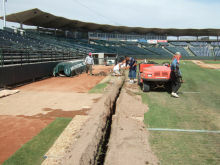 SMART DRAIN� provides a fast acting, and long lasting drainage solution for all types of athletic fields. The efficiency of SMART DRAIN� means that water is drained more completely and faster that conventional perforated pipe systems. 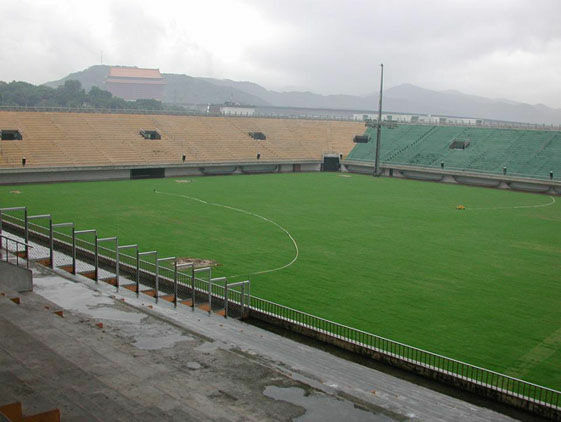 Availability of the field after heavy rains is increased due to Smart Drain's incredible performance. With SMART DRAIN� you will no longer need to wait days after a rainstorm to begin using the field. 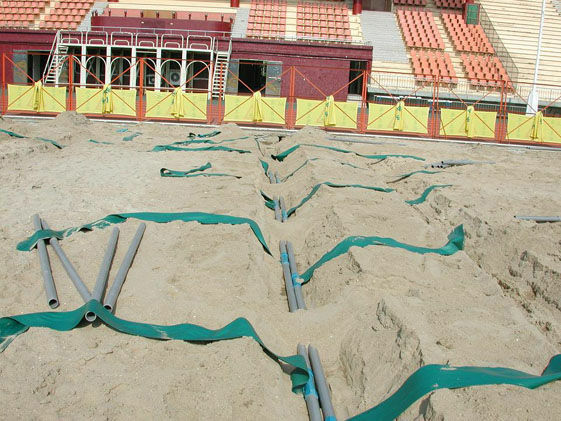 Instead of a soggy mess that could injure athletes and destroy turf, the field will drain promptly and completely leaving only a firm playable surface. Installation of SMART DRAIN� is relatively easy and economical due to the simple belt and PVC pipe design. Heavy equipment can roll right over the SMART DRAIN� belting immediately after installation without worrying about damaging the material. Since it relies on capillary action with the openings facing downward, SMART DRAIN� does not require synthetic drainage cloth that eventually clogs with silt. SMART DRAIN� is a no-maintenance solution! 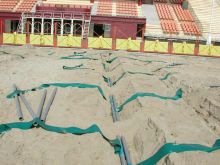 Simply put it in the ground and it will work indefinitely with no scheduled maintenance. SMART DRAIN� is Turf friendly! The drain belting works only when the ground is saturated with water. SMART DRAIN� will evacuate excess water but it will leave moisture in the ground to promote optimal conditions for turf growth. No longer will you have to put up with puddles of sitting water that drown and kill grass leaving ugly brown spots of dead grass. Instead you will have a lush field of green turf that is ready to be used shortly after the rains stop. 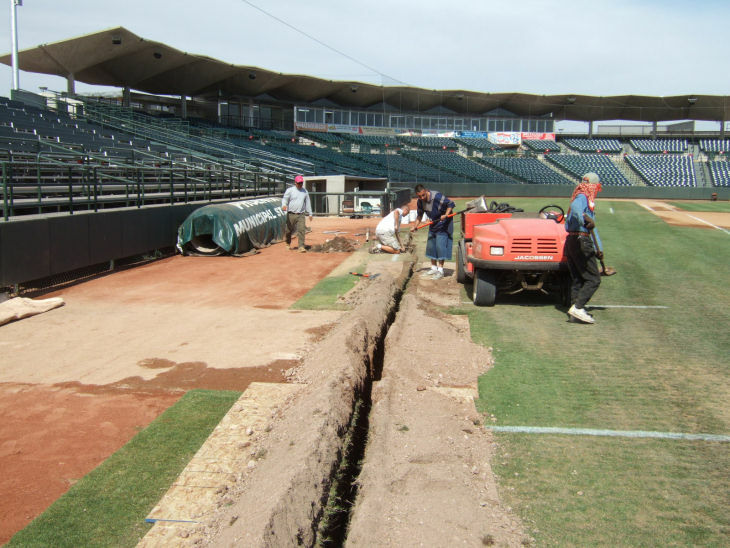 If you are planning to rehabilitate an existing field or to build a new one, contact us to see how SMART DRAIN� can provide you with a low cost, efficient, no maintenance drainage system that will last for the life of the field.